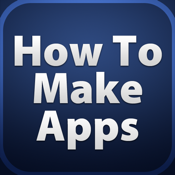 Want to start building your own iPhone apps? Learning the coding can be very difficult for beginners and even the simplest functions appear to be overwhelmingly difficult to build. Welcome to the easy to follow step-by-step guide to building your first iPhone apps. It includes screenshots, detailed instructions and example codes to try out. Follow this step-by-step guide that includes coding and interface building for beginners to create your own quiz app!